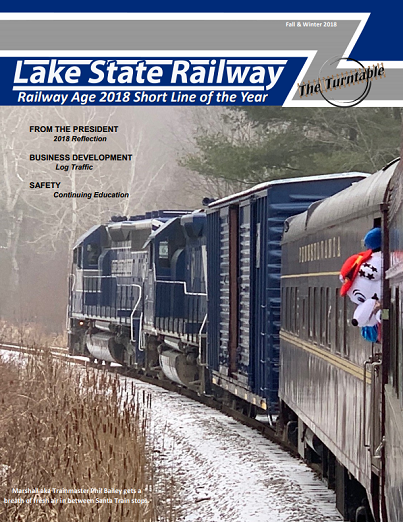 STANDISH - The Santa Train will be making several stops on its trek through the state, but its first was at the Standish Historical Depot where Santa Claus, Mrs. Claus and several cartoon characters posed for pictures and went over Christmas wishes with the area's children free of charge. 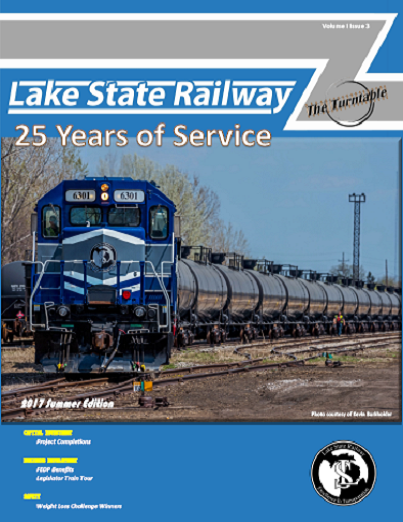 Expansion and growth are the name of the game at Lake State Railway Company in Saginaw. 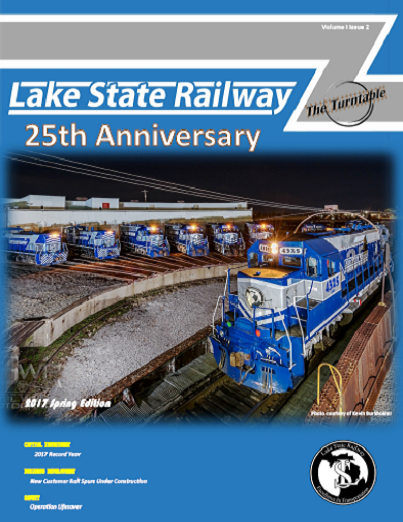 A short line railway, meaning it operates less than 350 miles of track, the company has expanded its business significantly over the past few years. 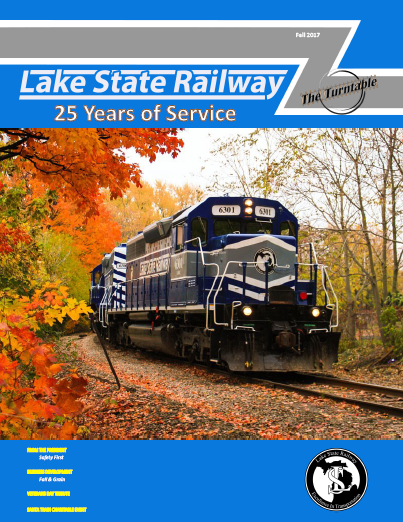 Written by Stuart Chirls, Senior Editor SAGINAW, Mich. - It may have taken 25 years, but Lake State Railway is finally ready for its close-up. 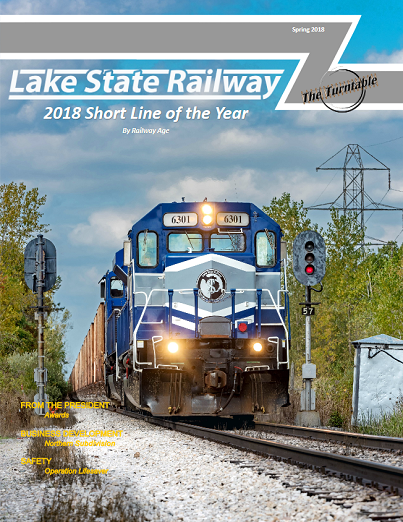 The short line operating out of this mid-state city has built an impressive following, and more than one hundred employees, customers, suppliers, elected officials, friends and family turned out for the formal presentation of Lake State Railway as the Railway Age 2018 Short Line of the Year. 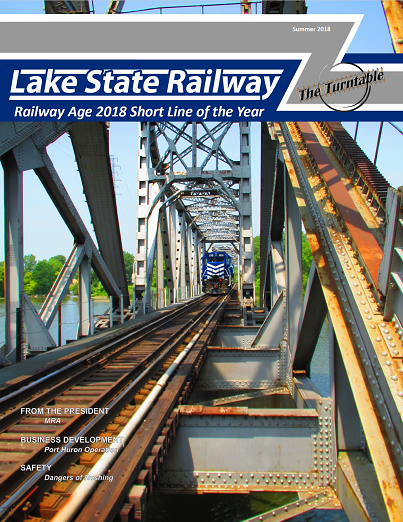 Written by Stuart Chirls, Senior Editor Railway Age has named Class III railroad Lake State Railway as its Short Line of the Year, and Class II Indiana Rail Road as its Regional of the Year. 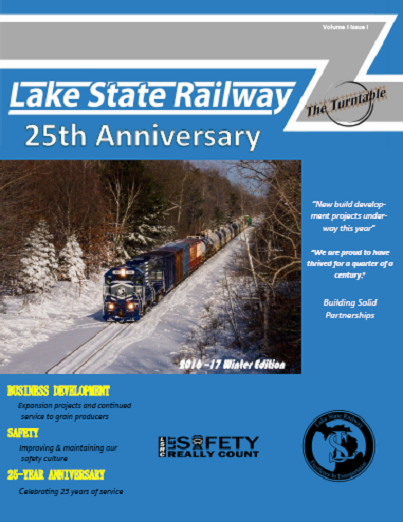 Lake State Railway (LSRC) was facing a serious challenge in 2013. 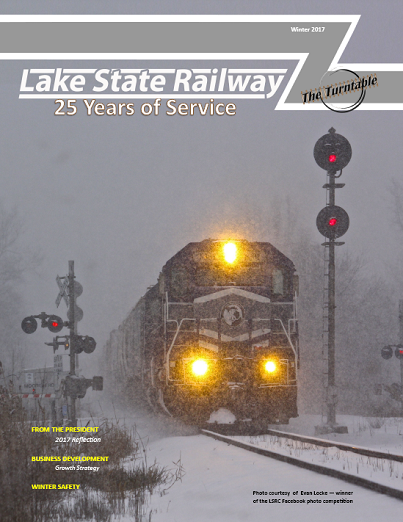 By Jim Smith GRAYLING - His arrival was announced by a shrill train whistle and the clang of the crossing signal with Santa himself riding on the front of a Lake State Railway locomotive. Santa's wave and 'Ho Ho Ho" delighted the gathering crowd of children and adults alike who were present for his arrival. This is a condensed version of this story. To see the full story, pick up a copy of the Oct. 18 Independent. 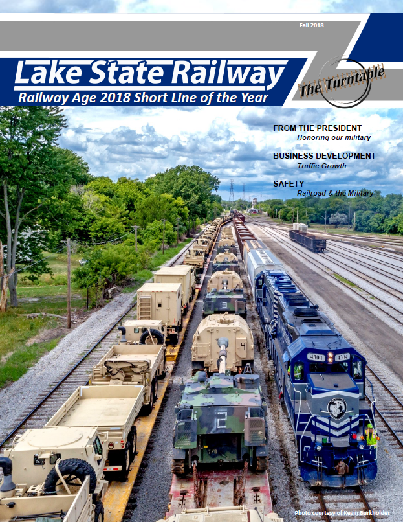 STANDISH - A railroad spur in the Standish Industrial Park could allow for more efficient shipping and receiving for manufacturing businesses, as well as allow for possible expansion or new businesses, and the hub could become a reality.Arenac County Commissioner Adam Kroczaleski spoke about the hub during the Oct.
Rail News: People Job description: Stickel is responsible for commercial, transportation and mechanical functions at Lake State Railway Co. (LSRC) in Michigan. Education: B.S. in finance, Indiana University Kelley School of Business Nominator's quote: "The LSRC is dramatically improving due in large part to Mike's experience, energy and willingness to tackle new projects, participate in long-term planning and develop a network of contacts aimed at continuing and increasing the LSRC's success." Construction for the $400 million particleboard mill, which will give Crawford County and the region a well-needed boost in economic growth, is on time and on budget. Arauco, a global producer of wood products, is building a new state-of-the-art plant that is located off of Four Mile Road in Grayling Charter Township.